On Thursday, Feb. 2, Winnipeg experimental and transformative theatre company Sarasvati Productions will be relaunching their One Night Stand series at the Prairie Theatre Exchange’s Colin Jackson studio. The theatre production company had put the series on hiatus for a few years but are looking to offer three One Night Stand events this year. Sarasvati Productions’ One Night Stand event is an evening of expository and premature performance. It involves playwrights and actors debuting snippets of their work for the entertainment and assessment of others, thus providing a safe and vibrant space to test run their plays. “I think this idea is so much fun and I am excited to introduce it to the next generation of theatre artists,” said Tatiana Carnevale, the series producer. The first of this year’s edition of the series will feature six ten-minute performances of plays written by local and upcoming playwrights. The selection process began with a call for submission announcements, the deadline for which was on Jan. 15. Several writers sent in their pieces or works-in-progress and the series’ production team made their picks based on the plays’ respective character development. “Trying to select just six to program for our first event was a pleasantly unpleasant task, as I got to read a lot of great work and had to make some tough decisions,” Carnevale said. Marjorie Roden, a University of Manitoba faculty of arts fourth-year student, and Ph.D. candidate Kristy Cameron are two of the six local playwrights debuting scenes of their theatrical works-in-progress at the series. Roden, who is currently majoring in film studies and minoring in theatre, is excited to be shortlisted for the series and looks forward to getting immediate feedback about her play, Life in a Fishbowl, a dramedy centered around the complexities of students’ residence lifestyles. “[It] is a play about what life can be like in a dormitory. It is about how simply complex life could be. It is fictional but that being said, there are some things in it that I have incorporated in it from some of the crazy things I have heard people say,” said Roden. At One Night Stand, she will be debuting the opening scene of her play. The play’s title was inspired by a statement a friend of Roden’s made during her first year as a student living in a residence that compared life in residence to life in a fishbowl. Roden, who is currently working on additional scenes for her play, hopes it is developed into a staged production soon. Nevertheless, she is excited to showcase an excerpt of her play at the event. Kristy Cameron is a University of Manitoba Ph.D. in English candidate. 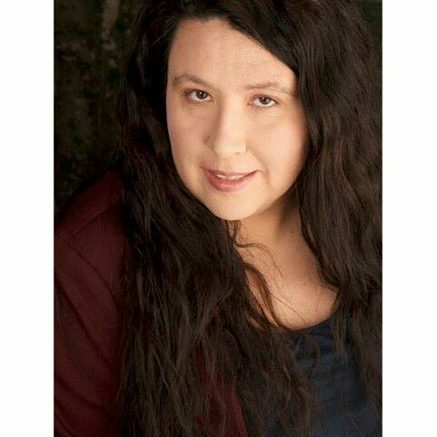 The upcoming writer – whose latest short story “Sewing Factory, Circa 1880-1980” was published in Prairie Fire literary magazine – will be showcasing an excerpt of her new play: Jump or You’ll Die Laughing: A Tragicomic Short for the Endlessly Heavy Hearted.